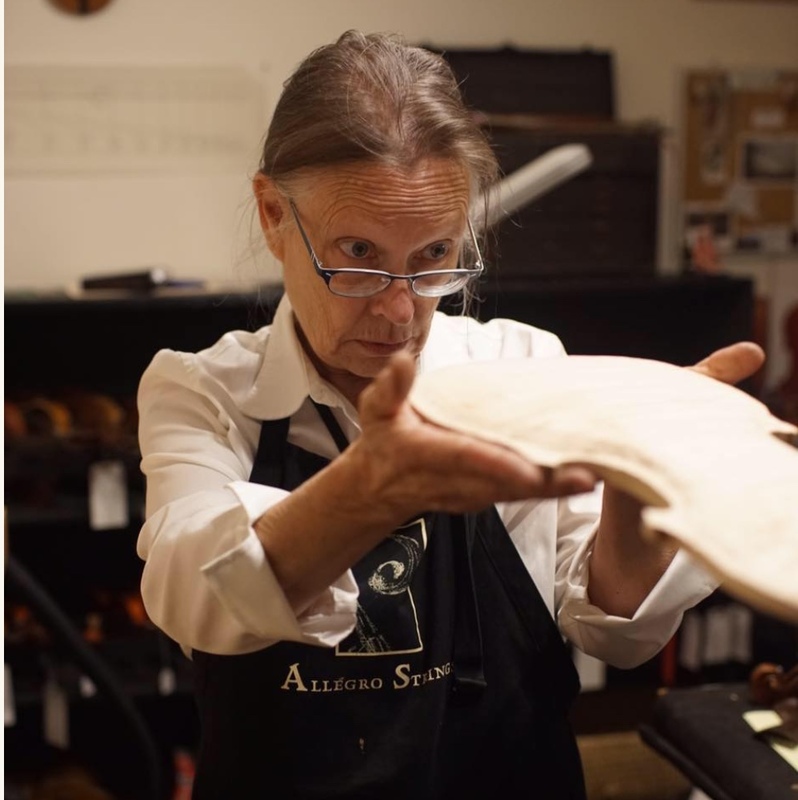 Dorothy Smith, owner and luthier at Allegro Strings, has had the pleasure of studying with many renowned European-trained luthiers. This training is fundamental to her approach in the making and restoration of fine stringed instruments and their bows. In March of 1991, she opened Allegro Strings to use her training and follow her passion. In January of 1980, Dorothy started her apprenticeship with renowned restoration specialist Anton Smith. Moving to Seattle in the fall of 1980 allowed her to make acquaintances with both musicians and makers in the area. Dorothy worked with the late David Saunders and trained under shop foreman, Ernst Luthie. At the close of her tenure with David, Dorothy was employed with Hammond Ashley, the largest violin family workshop on the west coast. In the fall of 1984, she continued her studies in Cremona, Italy. Dorothy eventually settled in Bellingham, Washington in the winter of 1988, where Ray Bastien was creating instruments. She developed Ray's repair shop and helped him hand craft 25 stringed instruments in the one and a half years she worked with him. Dorothy has been artfully restoring and creating fine musical instruments ever since, at her shop Allegro Strings.